Reassurance shield after the 142 split. Eight miles later (!) 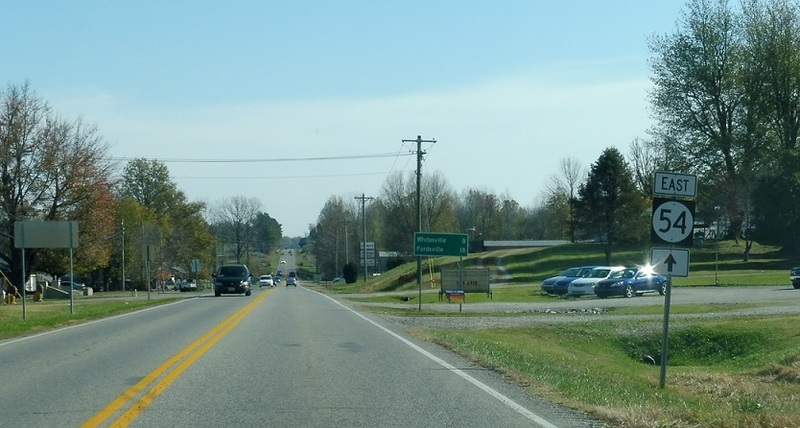 as we enter Whitesville, we’ll approach KY 764. 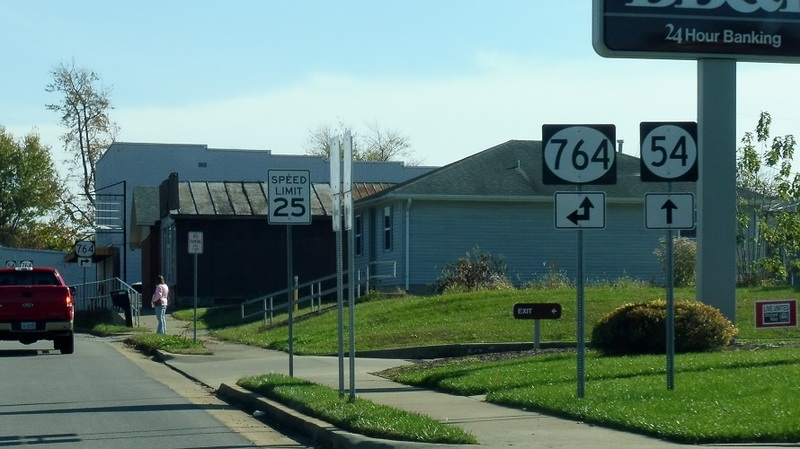 Turn left for 764 north. 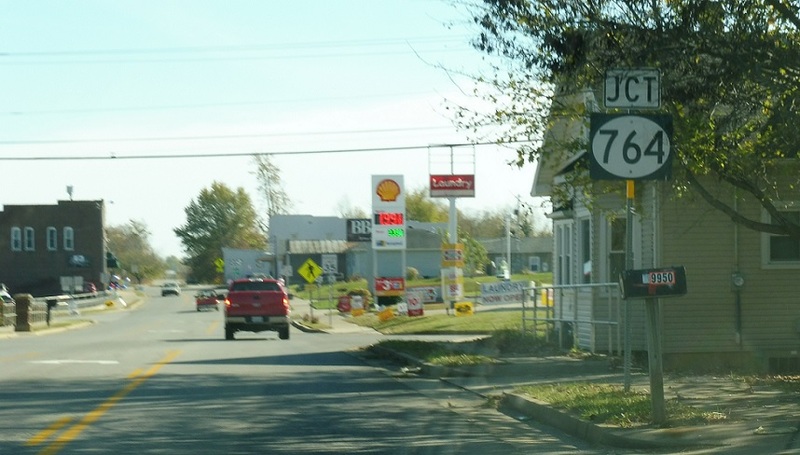 764 south joins KY 54 for a block.